The ritual of tea is very much part of its appeal and that exquisite equipment is central to such ceremony. Our accoutrements are envisaged in calming signature tones and classic craftsmanship combined with contemporary flair to allow for that ordinary ritual to become a magical moment. 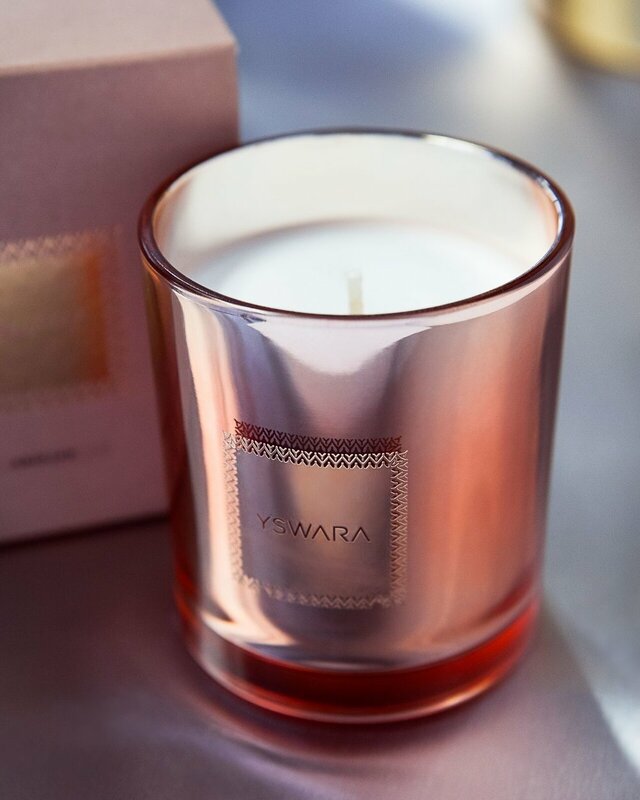 The YSWARA Candle Collection Johari la Africa offers an olfactory journey through the most exhilarating and dignified of African cities. From the natural splendour of breathtaking Cape Town to the urban heart of contemporary Lagos, the vibrant and beautiful cities of Africa romance the senses. They are torches of splendour, each illuminating an aspect of the aromatic, bejewelled brilliance of the continent. 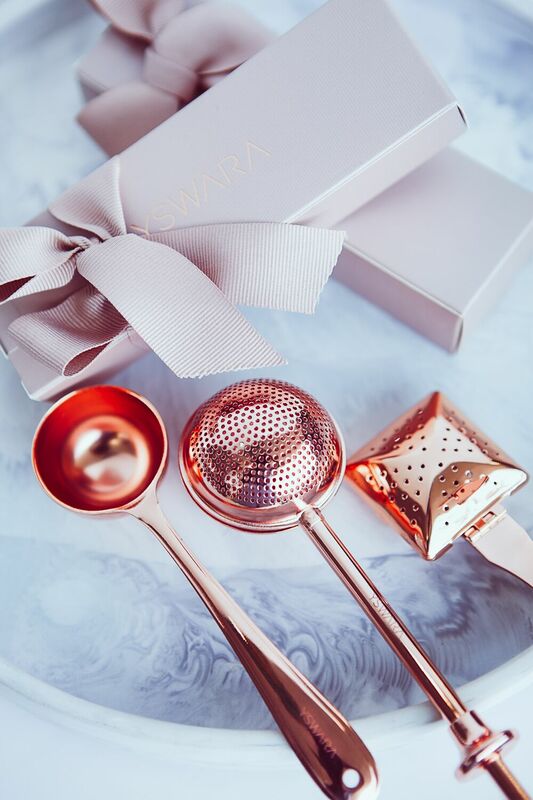 Indispensable for correct tea preparation, we have a collection of refined copper plated tea measuring spoons and infusers which will help measure and steep your loose-leaf tea correctly for a perfect brew every time. Our aromatic teatime candles are made of 100% biodegradable natural Soy Wax infused with natural fragrance and essential oils. They double as a room fragrance and soothing & moisturising massage oil. They come packaged in our elegant YSWARA gift boxes. Our candles are long and clean burning (~80 hours) and environment-friendly. The wax and fragrance oils are skin safe & suitable for all skin types. All our candles have lead-free wicks. They are free of petroleum products, parabens, boosters, colourants, GM and Phthalate.